SPECIFICATIONS Length : 10″ Diameter : 1.5″ Material : Stainless Steel / Titanium / Inconel Blast Baffle Weight : Approximately 22.5 ounces Finish: Matte Black Cerakote Avg. Suppression : 31dB Mounting : 5/8 -24 Thread Mount. Utilizing Liberty’s Square Bore Technology, the Freedom offers world class suppression in excess of 31db at an affordable price. 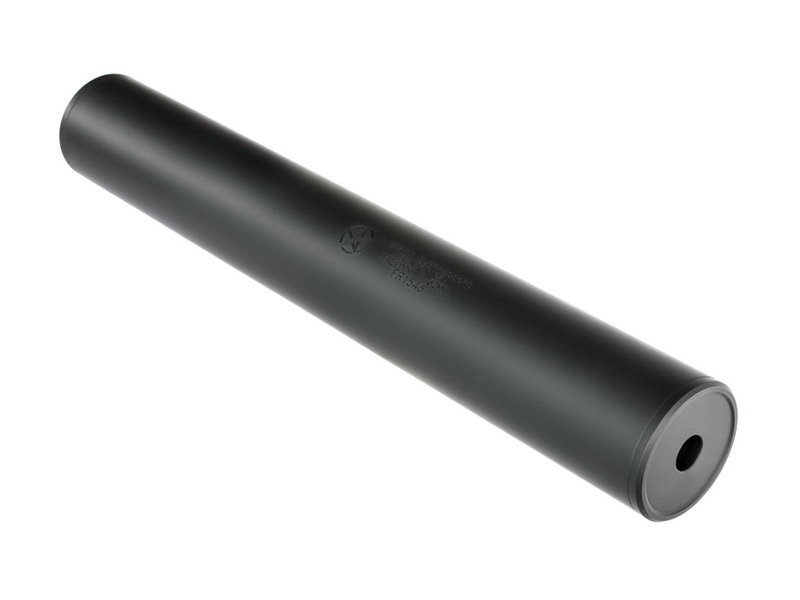 Being a traditional thread mount suppressor, the Freedom is perfectly suited to the precision and long range shooter, in that direct mounting offers far greater accuracy and consistency over quick attach/detach systems. The Freedom combines a titanium outer tube with a stainless steel core to provide a lightweight feel, while adding an Inconel blast baffle for unparalleled durability. The Freedom not only offers amazing suppression but also lighter weight than most other suppressors in the same class.. A MIRAGE COVER IS INCLUDED WITH EACH FREEDOM SUPPRESSOR. Rated for 308WIN and down on a 16″ barrel. Also rated for 243 WIN, 260 REM, 7mm-08, 22-250, 30-30, 30-06, 270WIN, 280REM, 25-06 and any other round that is based on the 30-06 or 308 family of casings.